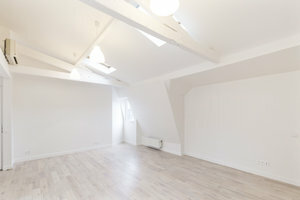 This bright 150 sq m space is located in the upmarket area of Ternes and is ideal for Showrooms and Private Events. Housed in a classic Haussmannian building, this space has a loft type feel and a radiant atmosphere from multiple windows. The interiors are white-washed and elegant with white walls and wooden floors. 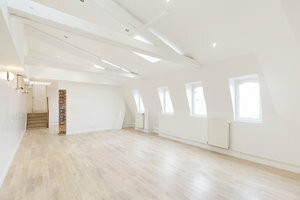 The space also boasts skylights and is divided over two interconnected rooms which provide flexibility and make the space adaptable in terms of set-up and usage. 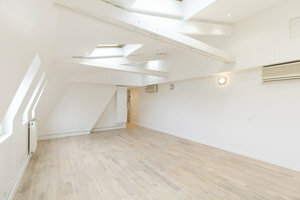 Advantageously located in the lovely area close to Parc Monceau, Courcelles and Ternes Métro stations, this space is both easily accessible and a great location for high-end private events.